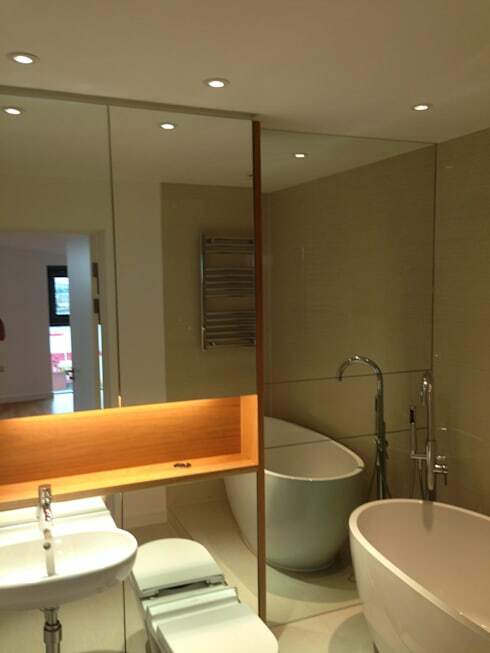 A bathroom without a mirror is not complete! This is an essential accessory for morning preparation, either for brushing our teeth or when applying makeup—you can’t do without one. 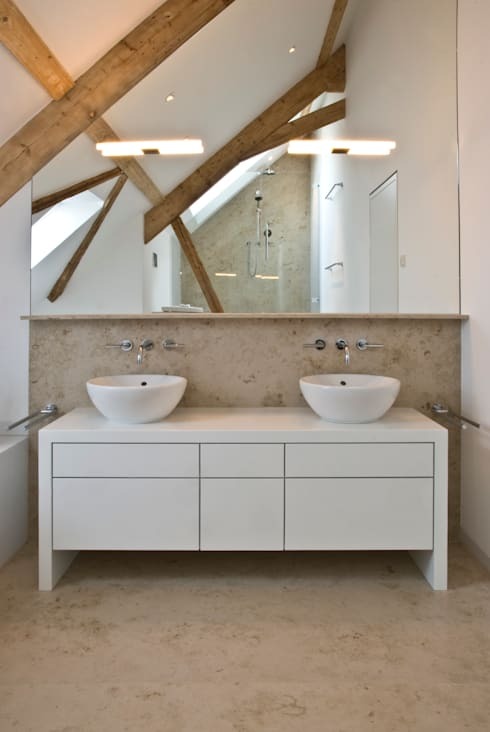 In addition, the mirrors are ideal for small bathrooms to make them appear more spacious. But which style do you want in your bathroom? Do you want a modern bathroom design, or do you bring-out the rustic style of the rest of your home? This ideabook will help you make a choice by presenting a variety of decorations for your bathroom, along with aesthetic and practical mirrors. 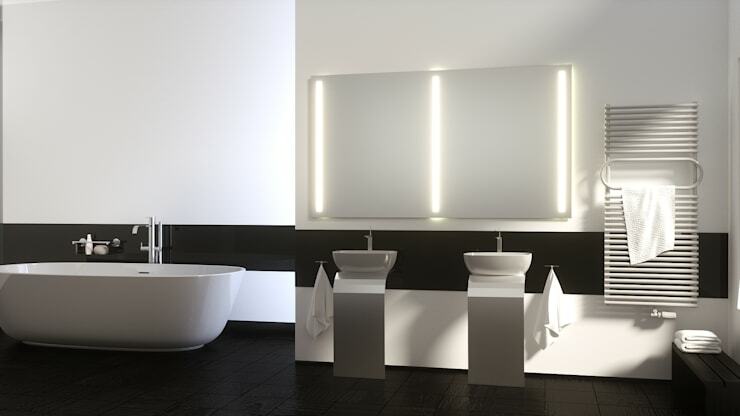 In a minimalist bathroom like this, where the horizontal and vertical lines define the entire space, the mirror is not only a practical addition, but also an important element of style. Aligned with the wall tiles, the sink cabinet, and double closet with perpendicular lines, a simple mirror, with its floating appearance is the extra piece of furniture that complements the whole interior. These mirrors are an explicit reference to the rooms of glamorous actresses, dancers and other artists, with their bright lighting, as it allows them to make finishing touches on their makeup or hair before a show. Instead of the traditional single light bulbs, the designer has selected light vertical lines from behind mirror, and created reinterpretation of a classic style. Imagine you're an artist with a mirror like this in your bathroom, but in this case, you can enjoy all the comforts that modern interior. Oh, to be a star! Here we see a very practical use of mirrors in the bathroom. With this wall entirely covered with mirrors, including the surface of the cabinet, the designers have not only created an impression of space, but also extra lighting and style to the room that would otherwise have been dark and narrow. The slim design of the freestanding bathtub also saves space in this small bathroom while creating a luxurious and warm atmosphere. In a similar, but more subtle, way, the mirror in the bathroom is used in this interior project with a pitched roof to form a bathroom luxury. The combination of large surface area with marble floors and walls of light colours creates a peaceful atmosphere that makes this bathroom like an oasis inside the house. You can also use the bathroom mirror to ensure that every child (and secretly, each adult) is entertained when using the bathroom. 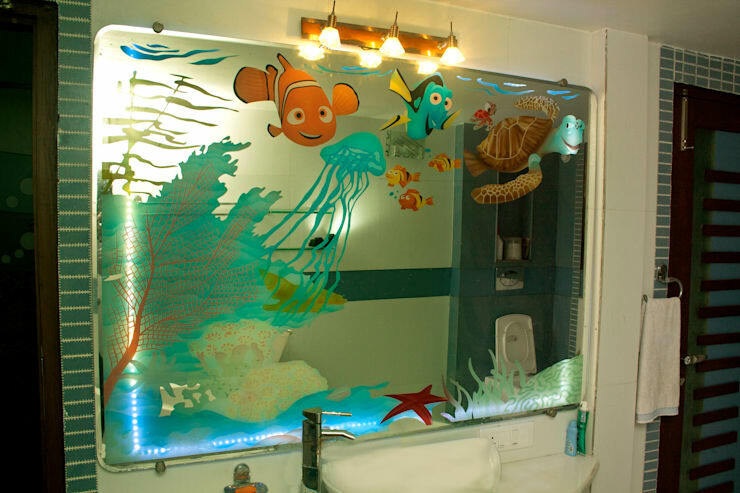 Some fun decorations, like the Finding Nemo fish pictured, can make your mirror the most exciting element in the space. You can even imagine for a moment that you too, are under the sea! Remember, the bathroom is a commercial space, therefore, you can make it as fun and entertaining as you see fit! 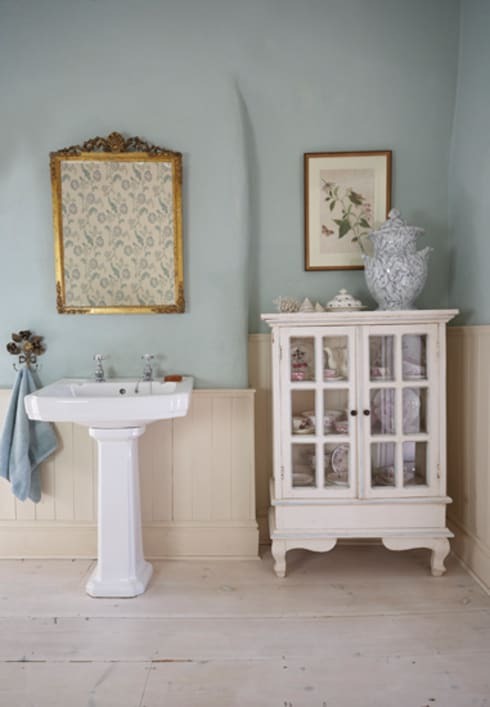 Do you want your bathroom to be part of your rustic interior, or do you want something totally different? In this case, we suggest that you consider a style of furniture that is filled with character, and synonymous with romantic charm. As pictured, these stunning gilded frames can easily have a mirror placed inside to create a cosy and inviting rustic charm to the space. You needn't worry about matching the furniture with the frames either; it is all part of the fun! There is an almost infinite variety of mirrors available, take the time to find one that is most suitable to your style and your space!